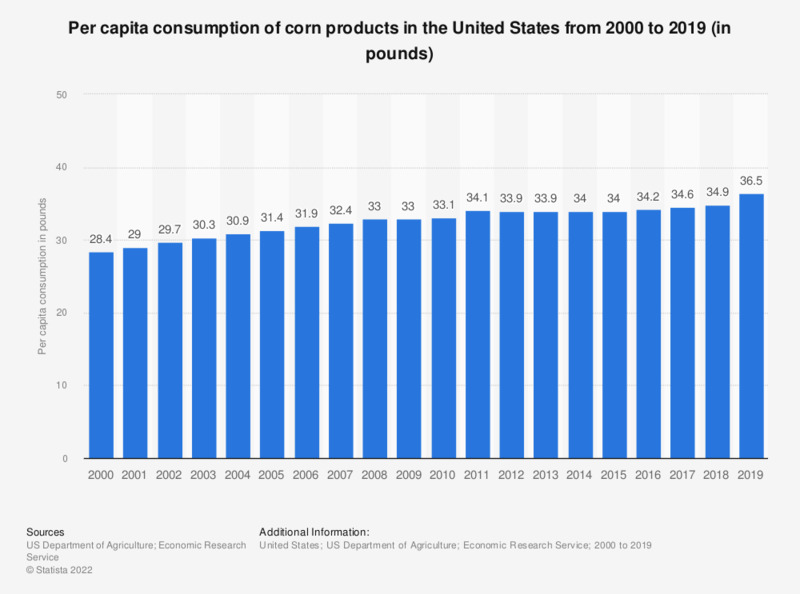 The timeline shows the per capita consumption of corn products in the United States from 2000 to 2015. The U.S. per capita consumption of corn products amounted to 34 pounds in 2015. Corn products include flour and meal, hominy and grits, and food starch. Corn products include flour and meal, hominy and grits, and food starch. Figures are based on Census of Manufactures.